The first time his hand brushed yours. The first time you kissed. The first time you sat quietly looking into each other's eyes. The first time you knew you loved him. This is just the start of your story together. Now is the time to begin writing the next chapter in your journey as a couple. Find your passions together and live your life without regrets. Wouldn't it be great to combine award winning photography and videography all in one package? Wouldn't be easier to work together with one talented team that has filmed hundreds of weddings? Wouldn't it be great if you could combine both your photographs and cinematic video together in one place for easy access? Christopher and Julie are combining photography and cinematography to create a seamless experience for our couples. If you are thinking about hiring a photographer and videographer for your wedding, we have the perfect solution! Looking for photography only? We do that too. Just let us know which services you are looking for when you contact us. For pricing, please visit our Investment page. Please note that we do a limited number of commissions each year so contact us early for the best availability! A gorgeous cathedral and lakeside wedding with two of the nicest people we've ever had the privilege to work with. A perfect day and the perfect couple. This small town winery wedding featured gorgeous details and beautiful settings. Barn weddings are all the rage. 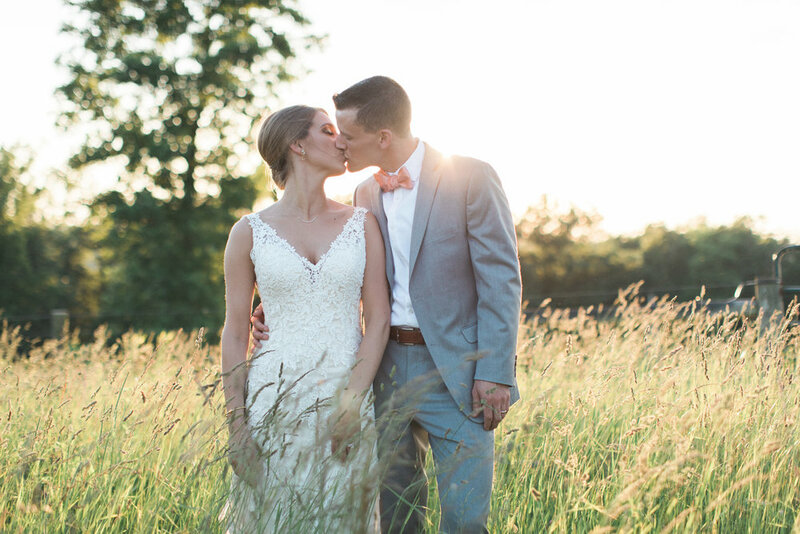 Amelia and Ryan's wedding was simply stunning with a hilltop ceremony, beautiful barn details and a golden hour photo session on a secluded hill with beautiful vistas. London, Salisbury and New Mills, England, Cancun Mexico, Canada, New York City, The Finger Lakes New York, Bar Harbor Maine, The Florida Keys, Siesta Key, Florida, Charleston SC, Hilton Head, Chicago, Charlotte North Carolina, Greensboro North Carolina, Houston Texas, Michigan, Pennsylvania, West Virginia, Columbus, Cincinnati and all over northern Ohio – these are just some of the locations in which we've photographed. We've personally shot with over 300 couples, and our work has been seen in Grace Ormonde Wedding Style, Style Me Pretty, Destination Weddings, South Asian Bride, The Knot, Today’s Bride and Weddings in Cleveland among others. We've been voted the best photographers in northern Ohio (Fox 8 2008) and have been awarded the “Best of the Knot” and received the “Brides Choice Award”. In 2006, we decided to leave behind our well paying corporate careers and pursue our passion. Over the last 12+ years, we've traveled all over the US and different areas of the world photographing and filming couples just like you. We become a part of your lives for the time we share together. Our desire is to encourage you to follow your dreams. The rest of your story hasn't been written yet. It's time to start writing. We have been extremely blessed with a wonderful life and the ability to travel extensively. Along with great blessings come great responsibility. For the past 8 years, Julie and I have been actively involved in the fight against homelessness and hunger here in Northern Ohio and around the country. We are committed to raising awareness both through photography and videography and helping Rescue Missions tell their life-changing stories to the communities they serve. If you are looking to get involved locally where you are, just contact us. We've had the privilege of working with amazing Rescue Missions around the US where you can help men, women and children in your own community get off the streets and get back on their feet. Please provide as much information about your wedding as possible. The more details you provide, the more we can be of assistance. For pricing, please visit our Investment page. Are you interested in photography and video together or just photography? Thank you! Someone will be in contact with your shortly.